Vanessa J. Solis-Maduzia, J.D., has been a licensed attorney since 2005 and graduated from South Texas College of Law in 2004 earning a Doctorate of Jurisprudence. Born in Brownsville, Texas, she moved to the Houston area with her family when she was 2 years old and graduated from La Porte High School in 1994. Since she was eight years of age, Vanessa knew she wanted to be an attorney. To prepare for that goal, she was active in the Debate Team, both in high school and college. She was part of retired Judge Molly Maness-Barnes, Justice of the Peace, Pct. 8, Pos. 2, Teen Court and was also active in the YMCA Texas Youth and Government during all four years of high school. She continued her education at San Jacinto College Central earning an Associate of Arts in English in 1996. She then pursued a Bachelor of Arts in Humanities with a Pre-Law Track and a Master of Arts in Sociology with a Concentration of Criminology from the University of Houston-Clear Lake in 1998 and 2000, respectively. In June 2011, Vanessa was granted the honor of being licensed to practice before the Supreme Court of the United States of America. She is licensed in the United States District Court for the Southern District of Texas and is certified as a mediator in civil and family law, is certified as a collaborative law attorney as well as a notary. Since 2005, Vanessa has concentrated her practice of law primarily to the family law and collaborative law area. Her family law practice encompasses divorce (contested and uncontested), child custody (suits affecting the parent child relationship), child support, modification of prior court orders, contempt and enforcement of court orders, grandparent’s rights with possession and access, paternity determination, termination of parental rights, adoptions, acknowledgment of paternity and denial of paternity and name change for both adults and minor children. She is also a court appointed Amicus Attorney and Ad Litem Attorney for the various family courts in Harris County, Texas. In addition, Vanessa J. Solis-Maduzia practices probate law, which includes the preparation of wills and powers of attorney, probating wills, contesting wills, small estate administration, and applications for guardianships of adults and minor children. She also serves as a guardian and/or attorney ad litem in various probate matters. 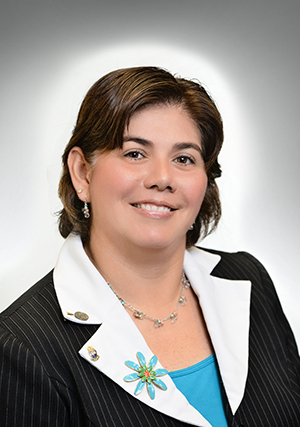 Vanessa J. Solis-Maduzia is also a mediator and is an advocate in resolving all types of disputes through mediation in both civil and family law matters. Her membership affiliations include Phi Alpha Delta, Texas Bar, Texas Young Lawyers Association and the Hispanic Bar Association. She is very active in her church at St. Mary’s of the Immaculate Conception in La Porte as a Lector/Commentator and has been the 4th Grade Sunday School Teacher since 1995. She is married to her husband, Jeremy, and they have two sons, Matthew and Luke, one dog, Vegas, and a cat named Subpoena. She enjoys appearing in Court with clients, gardening, reading, presenting her workshop, Leadership on the Loose with Dr. Seuss, and spending time with her family.